We often hear that some service providers like consultancy firms, corporate service providers, accountants and others advertise “guaranteed bank account opening” in Cyprus and in other countries. This is, indeed, not true. It is important to know that the decision to open or to reject the opening of a bank account is in the absolute and sole discretion of the bank applied to. Nobody else, no third party can “guarantee” the opening of a bank account in Cyprus or in any other country. Documents and information generally requested as minimum requirement for due diligence and compliance procedures in context of the application for a Cyprus bank account are listed below. The requirements may slightly vary from bank to bank. The documents and information requested is based on the provisions of the 4th Anti Money Laundering Directive (the 4th AML Directive). Certified copy of the incorporation documents and M&A of the Cyprus company. Certified copy of a valid international Passport or national Identification Card. Applies for all individuals involved in a company or in company structures, including shareholders, ultimate beneficial owners (UBO), etc. If the shareholder of a Cyprus company is a company where the client is shareholder, then, for example, passport or national identification card and all other following documents of the director of that company is required as well. If that company has other individual shareholders, the same applies for those other shareholders. Confirmations of Residence issued by Office for Registration of Residents. The Proof of Address must be in English language. If it is issued in another language, an official and testified translation must be provided. Testified translations can also be arranged by Shanda Consult, against an additional fee. Must be not older than 3 months and must bear the individual’s address as stated in the Proof of Address. Most banks have standard reference letter templates in their systems; account balance do not need to be mentioned. The Bank Reference Letter must be in English language. If it is issued in another language, an official and testified translation must be provided. Testified translations can also be arranged by Shanda Consult, against an additional fee. Curriculum Vitae (or résumé), in English language, showing the professional career of the individual. Note: In order to assess the risk that a particular customer or client may bear for the bank, the bank has to understand how experienced and/or educated the individual is in the field of business planned or carried out. Proof of the Tax Identification Number of the shareholder(s). This generally includes the corporate documents of a legal entity, such as excerpt from the registrar of companies, Memorandum and Articles of a company etc. The documents must provide evidence regarding the shareholders, directors, registered address and registration number of the legal entity. It must also be proven that the legal entity is currently existing. Please note that the passport copies and the address proofs need to be certified as a true copy, in English language. Documents may be certified by an independent lawyer, accountant, notary, bank manager or embassy official, who should provide their name, address, status on the certified document. I hereby certify that this is a True Copy of the Original document which I have seen, and that I have met with the individual and confirm the photograph is a true likeness. A detailed description of planned or currently undertaken business must be provided. The business description must provide names (with addresses, if possible, but at least mentioning the countries involved) of suppliers and customers (or future suppliers and future customers), and a clear picture of the flow of goods or services, and flow of payments (in both directions (suppliers/customers). The description shall also include domain names of websites of the company, the beneficial owner’s company (if applicable), and of (planned) suppliers and customers). In case that (planned) customers are retail customers, the current or targeted group(s) of customers must be described. Consequently, an appropriate business description consists of minimum half a page of text. The ultimate beneficial owners are obliged to declare the source of their wealth, including a listing of their wealth. Considered as wealth are owned real estate property, substantial funds on bank accounts, investments in securities or shares of companies, owned luxury cars, yachts or planes, etc. If an ultimate beneficial owner does not have any wealth, then this must be declared as well. Some banks may require a business plan to better understand the customer’s envisaged business. If the shareholder of a Cyprus company is a company, banks may also ask for recent annual financial statements of that company. Banks in the EU and in other jurisdictions, for example Singapore or Hong Kong, generally require proof of local business in order to consider the opening of the bank account in the country where the bank is located. Being under strict supervision by the Central Banks, banks do not want to be exposed to any risks that may be related to tax evasion. Therefore, banks are more positive when a customer (company) can proof local business. If the Cyprus company (or applicant company in another country) conducts or plans to conduct regulated business activities, certified copies of the respective licences or permissions need to be submitted. If the ultimate beneficial owner of a Cyprus company (or applicant company in another country) is a “politically exposed person” (“PEP”), “enhanced compliance rules” apply automatically and appropriate additional information and evidence may be requested. If the ultimate beneficial owner(s) of a prospective customer is to be classified as high-risk customer, “enhanced compliance rules” apply automatically and appropriate additional information and evidence may be requested. Regarding the classification of high-risk customers, please see the EU’s guidelines in the Annexes to the 4th Anti Money Laundering Directive at the end of this article. 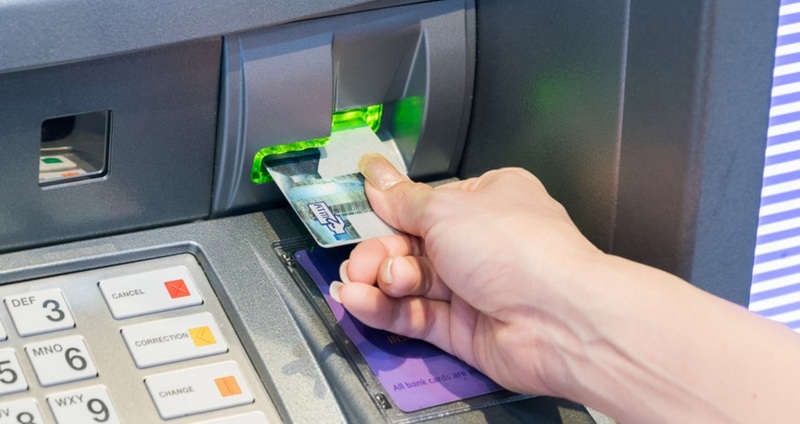 Banks’ customer acceptance policies and account opening procedures in the EU member states are mainly ruled and shaped by the national implementation laws of EU directives and OECD/G20 rules as well as instructions and recommendations of various financial regulators on EU level (ESMA, ECB etc.). If there is no national implementation law in place or if a national implementation law is not covering all provisions and aspects of respective EU directives, said provisions of such EU directives become national law automatically and are thus legally binding. Furthermore; Central Banks or National Banks formulate directives and circulars, based on respective EU directives and national implementation laws. Those directives and circulars are binding for the banks in the respective country. Cyprus tax rules provide for taxation of business profits with 12,5 % corporate tax, payable on taxable profit classes. Cyprus provides the lowest overall tax burden for both businesses and individuals in the EU. Please do not hesitate to contact us for more information and perhaps for our services regarding Cyprus bank account opening or Cyprus company formation.